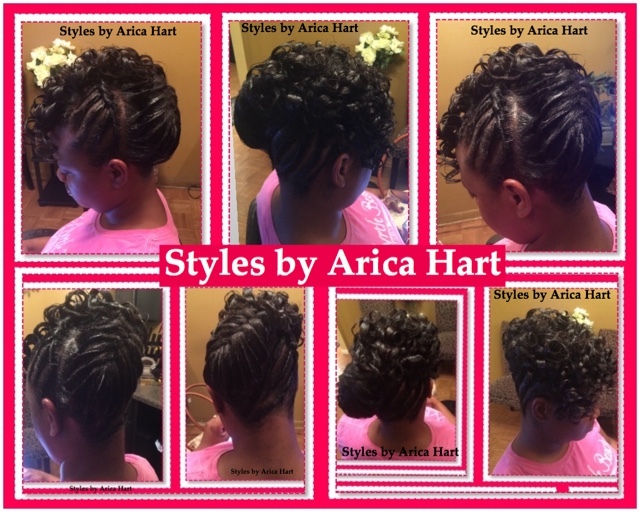 Above is a protective style. It is a sew-in with rods. 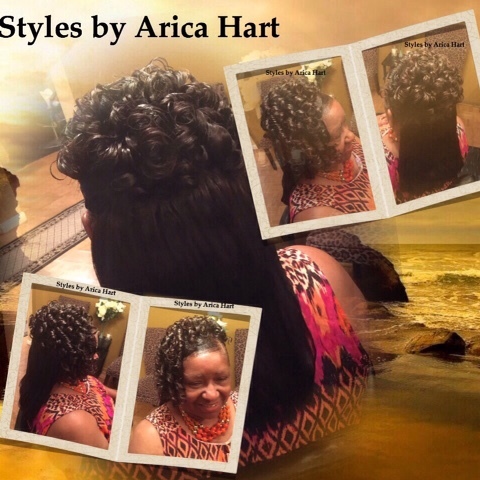 This Sew-in can be worn with rods, straight, or Crimps. Below is a lifted braid hair style with curls.